Plugin that does couple small SEO hacks. 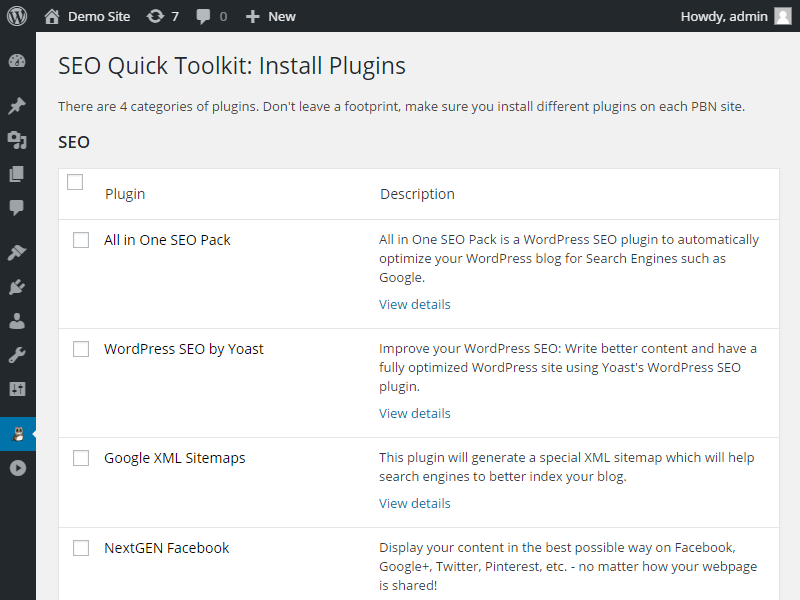 The user is able to quickly install 19 common WordPress plugins using just couple of clicks. The plugins list is categorized. The categories include: SEO, Social Media, Contact Form and Other. 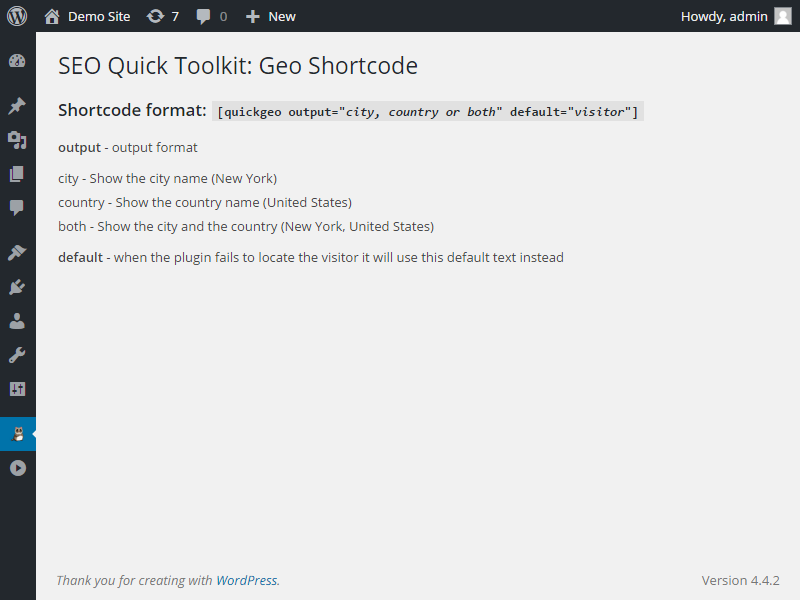 Also the plugin includes a geo shortcode. Using the shortcode the user can make the content more personal / targeted by including the visitors location.